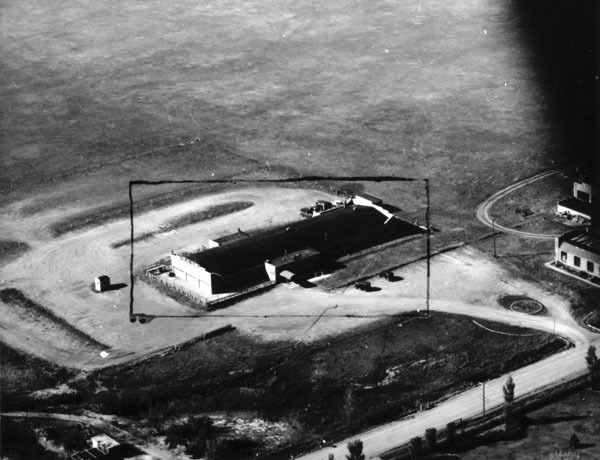 Description: View looking northwest toward Wichita Water Works building. Located on Sim Park Drive just east of Seneca Street, building was constructed in 1938 using Public Works Administration funds. Keywords: Wichita, public services, buildings. Description: Interior of Nu-Way Sandwich Shop located at 1416 West Douglas. Keywords: Wichita, business and industry, people, restaurants, lunch counters, interiors, advertising. Keywords: Arts and entertainment, business and industry, Gage Brewer’s Hawaiian Orchestra, Wichita. 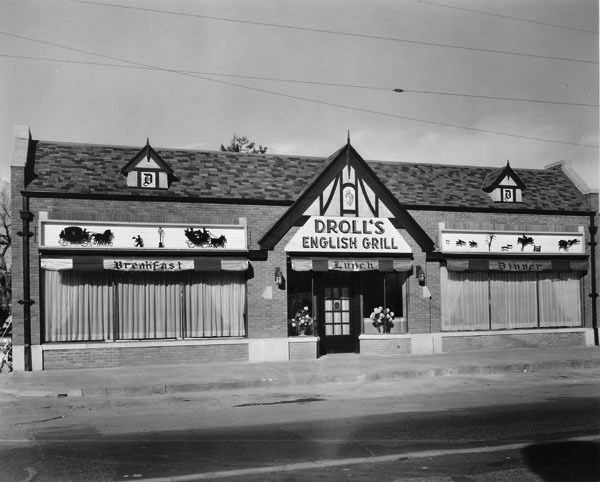 Description: Looking north at Droll’s English Grill, 3120 East Central Avenue. 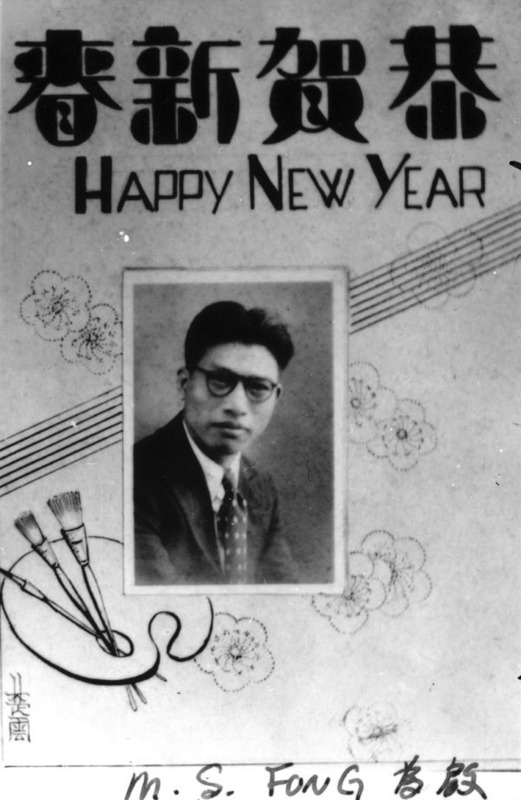 This photograph was taken for the grand opening of the new restaurant near the intersection of Central and Hillside Avenues. An artist’s rendering of this view was published in the Wichita Eagle, December 10, 1939. A full-page advertisement in the same newspaper stated, “Here the same wholesome, delicious food will be served that has made Droll’s English Grill famous for distinctive quality.” The restaurant celebrated its seventh anniversary that year. It was formerly located at 117 North Broadway. Keywords: Business and industry, restaurant, architecture, Wichita. 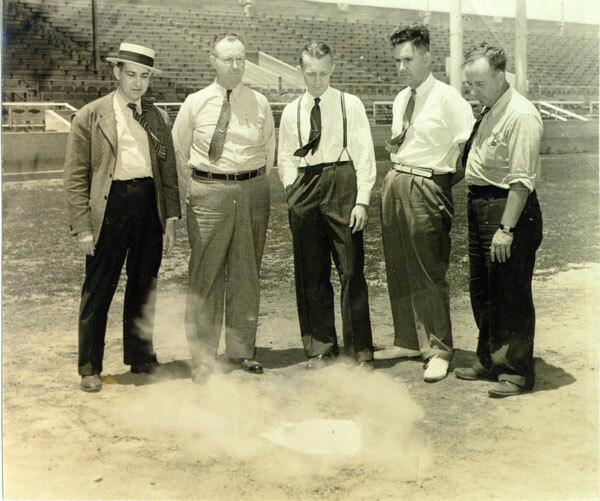 Description: Demonstration of automatic home plate duster in Lawrence (Lawrence-Dumont) stadium. It was developed by Ray Dumont, founder of the National Baseball Congress Tournament. Ray "Hap" Dumont sports hat in this image. Keywords: Wichita, sports and recreation, business and industry, Ray Dumont, baseball, stadium, Lawrence-Dumont stadium, Cardwell Manufacturing Company, National Baseball Congress tournament. Keywords: Business and industry, waitress, furniture, restaurant ware, Wichita. 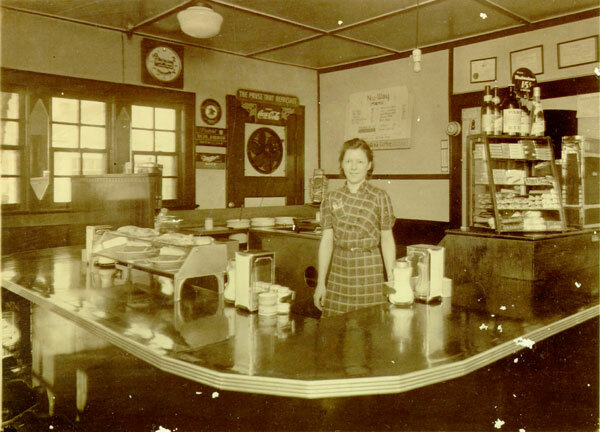 Description: Interior of Droll’s English Grill with lunch counter and soda fountain. 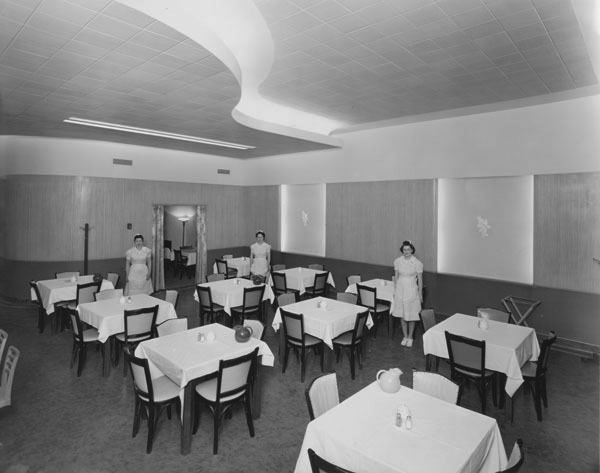 A related photograph appeared in the Wichita Eagle, December 10, 1939 announcing the formal opening of the restaurant at its new location, 3120 East Central Avenue. 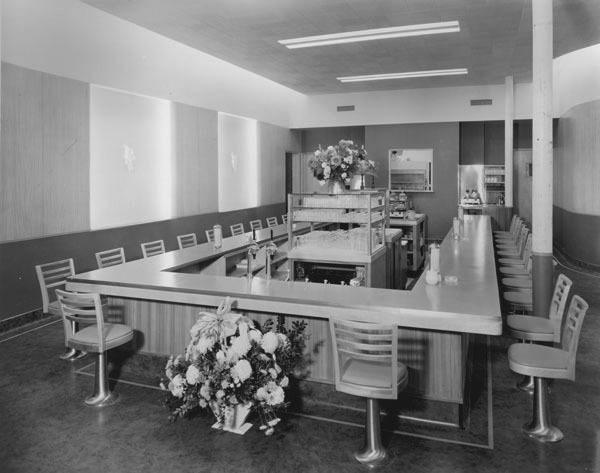 An accompanying advertisement proclaimed “new furnishings, modern kitchen equipment and up-to-date soda fountain.” The flower arrangements mark the occasion. Keywords: Business and industry, furniture, restaurant ware, Wichita. 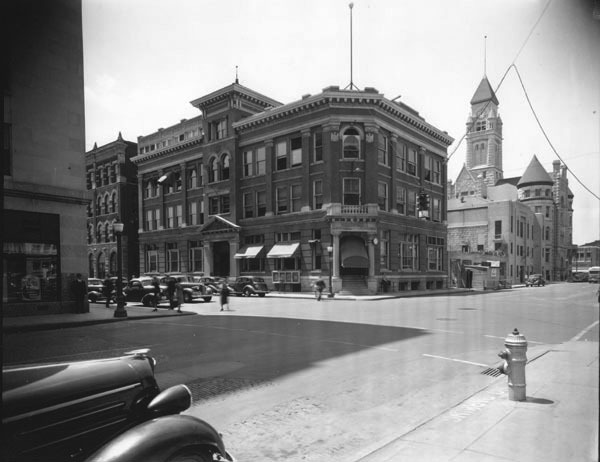 Description: View of Eagle Building at Market and William Streets; Police Station and old City Hall in background. Keywords: Wichita, street scenes, business and industry, government, public services, Eagle building, City Hall, police station.